TORONTO, Feb. 1, 2019 /CNW/ - Get excited Canada – on February 6, Tim Hortons Roll Up The Rim To Win contest is back and better than ever. For the first time, Tim Hortons has partnered with Jeep®, giving Canadians the opportunity to win one of 40 new Jeep Compass compact SUVs. 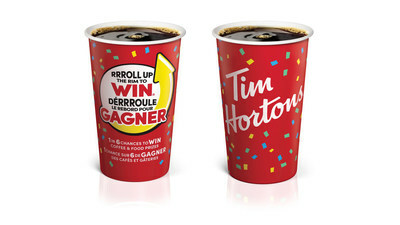 "Each year, our goal is to make Roll Up The Rim more exciting for our guests," says Jorge Zaidan, Head of Marketing, Tim Hortons Canada. "Whether it is through exciting prizes with new partners or highlighting moments that celebrate all Roll Up The Rim has to offer, we're excited to make this year the most exciting – and legendary – yet." "We're thrilled to be teaming up with Tim Hortons and combining two iconic brands in a contest that has become a highly-anticipated Canadian tradition," said Bill Levasseur, Vice President, Sales & Marketing, FCA Canada. "This year's contest participants will have a chance to win one of 40 Jeep Compass SUVs. 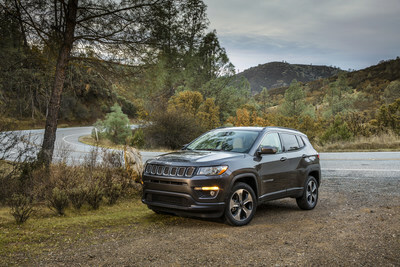 Redesigned as a best-in-class, global sport utility vehicle, Compass now resonates even more strongly with Canadians thanks to its trademark blend of all-weather 4x4 capability, style, technology and advanced safety features." To complement the 2019 launch of Roll Up The Rim To Win, Tim Hortons has released a fun thumb work out video on their social channels today. The video features different exercises set to music to get Canadians' thumbs in peak physical condition for roll up season. Tim Hortons®, part of Restaurant Brands International, is one of North America's largest restaurant chains operating in the quick service segment. Founded as a single location in Canada in 1964, Tim Hortons appeals to a broad range of guest tastes, with a menu that includes premium coffee, hot and cold specialty drinks (including lattes, cappuccinos and espresso shots), specialty teas and fruit smoothies, fresh baked goods, grilled Panini and classic sandwiches, wraps, soups, prepared foods and other food products. Tim Hortons has more than 4,800 system wide restaurants located in Canada, the United States and around the world. More information about the company is available at www.timhortons.com.